I hesitated in posting the video below as the topic is not one that particularly resonates with me at this very moment. But I really like the idea of more and more people creating their own compilations and “mash ups” related to Moshe and his ideas. Download the video to your computer: Feldenkrais Video Skeleten And Consciousness. Special thanks to Lea Kauffman who made me aware of the above video through an email promoting a workshop: Alan Questel, Skeletal Power (In Mexico). This entry was posted in feldenkrais, Feldenkrais Video and tagged feldenkrais, feldenkrais download, Feldenkrais Video on December 9, 2011 by nagster. Ready for some more open-source, share-and-share-alike Feldenkrais resources? Good! A group of open-source, Self-Awareness Through Movement lessons, designed to reduce and eliminate back pain, as well as improve the movement of your entire spine. Based on the work of Dr. Moshe Feldenkrais, these sessions are also available for sale as audio downloads: Feldenkrais Back Pain Relief. Do you now one other person who could use these? Please consider clicking the button below to send them an email. This entry was posted in back pain relief, blog, Feldenkrais mp3, Feldenkrais News & Products, open source and tagged feldenkrais, feldenkrais download, Feldenkrais mp3 on September 23, 2009 by nagster. I’m taking some time to do Ruthy Alon’s Feldenkrais, Awareness Through Movement series, called “Free Your Back.” (I don’t know where you can buy the series, I bought mine at the FGNA conference in Portland last year.) I’m doing the series for a number of reasons, not the least of which is research – I am readying a follow-up volume to my Feldenkrais Back Pain Relief mp3 download series, called “Eliminate Back Pain Now.” It’s always good to see what other practitioners have done already. I discovered a fascinating thing while doing the series. It was something that made me feel like a rank beginner. Somehow, over the last few years (or decades?) I had lost a great deal of movement in my ankles. Doing a particular lesson in the series, dropping down into the ground while standing, bending my knees, keeping a soft back and flexing my ankles so that I could drop down further…at some point…I realized that there was an additional amount…a HUGE amount…that I could easily and safely flex my ankles. The movement reverberated through my entire system, evoking ease and flexibility throughout. I’ve done similar movements on my own, in trainings, in workshops, but somehow this time, it really “clicked” and I perceived the pattern. A few minutes later, I went into my kitchen to get some soup. The soup is in the lowest cupboard, just a few inches off the ground. When I bent down to get it, I rode down into the crouching posture as if my joints had been oiled with warm butter. Hmmm. Love it. 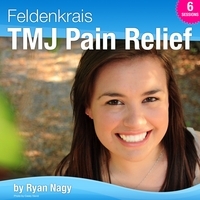 This entry was posted in back pain relief, feldenchrist, Feldenkrais mp3, Feldenkrais News & Products and tagged feldenkrais, feldenkrais download, feldenkrais method, Feldenkrais mp3 on August 8, 2008 by nagster. All seventeen of the podcast interviews on this site can be purchased and downloaded at once – Over 10 hours of material directly to your computer. Interviews and Awareness Through Movement Sessions from Feldenkrais Trainers, Practitioners and researchers, including, Jerry Karzen, Frank Wildman, Larry Goldfarb, Alan Questel, Martin Weiner, Katrin Smithback, Diana Razumny, Alan Fogel, Moti Nativ and Dr. Stephen Gilligan. Over 9 hours of material, including lectures, commentary and several Feldenkrais, Awareness Through Movement Lessons. Also, comes with a 16 page Feldenkrais eBook, that contains the original blog posts, pictures of Moshe Feldenkrais and some of his trainings and links to resources. Over 9 hours of material!! ** Safe Shopping Guaranteed pay via Google Checkout or PayPal and keep your personal information safe and secure. This entry was posted in feldenchrist, Feldenkrais mp3, Feldenkrais News & Products, feldenkrais podcast, feldenkrais podcasts and tagged feldenkrais, feldenkrais download, feldenkrais method, Feldenkrais mp3 on July 9, 2008 by nagster. Feldenkrais MP3 Downloads. Are you selling online yet? I recently gave my main Feldenkrais site an upgrade. I modified a free web page template to make the site slicker, quicker and easier to load. I also wanted to make it easier to create and sell digital Feldenkrais Products on the website. What is a digital Feldenkrais Product? A CD, DVD, VHS tape or even a cassette tape can be converted to a “digital” format, which can then be saved and used on your computer. If you have listened to my podcast, bought a song on iTunes, imported one of you compact disks onto your computer, or bought an eBook, then you have used a digital product. In my case, I record Feldenkrais, Awareness Through Movement lessons directly into my computer. I then use iTunes to convert the audio into a compact form called “mp3.” I can then sell the mp3 online. Or in the case of my Feldenkrais Podcast I can give it away. Perhaps it sounds “geeky” and complicated, but I can teach anyone to do it. If you know how to use email and a web browser, you can learn how to create and sell products online. Technically, I do not even need to be in the room with you in order to teach you. You can do it through my downloadable training videos. There are many, many benefits to selling digital products. For one thing, selling is automated. Once you have created and uploaded your products, the whole process works in the background. You do not have to address packages or go to the post office. You don’t have to deposit or cash checks because the money goes directly into your account. And best of all, you are not spending money to create and manufacture CDs and DVDs. Once you create a digital product you can sell 5, 500 or 5000 for about the same cost. Take a look at my Breathing “Exercises” which are available for $7.00. They are based on several of the Alexander Yanai lessons on breathing such as paradoxical breathing, and “to weld by breathing.” I tested the download process with one of my most technophobic and technologically challenged friends. She had no problem buying and using the lessons. I realize that from a Feldenkrais perspective, Awareness Through Movement lessons are not exercises. But when selling online, you need to consider the mind of the market. My online research led me to discover that a considerable number of people seach for “breathing exercises” on google. They do not search for “breathing lessons.” I need to give people the greatest opportunity to discover my products, so initially, I speak in their language. This entry was posted in Feldenkrais mp3, Feldenkrais News & Products and tagged feldenkrais, feldenkrais download, feldenkrais method, Feldenkrais mp3 on September 2, 2007 by nagster. 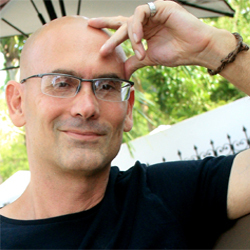 Jerry Karzen – One of Moshe Feldenkrais’ original American students. Find out how Jerry found himself in the San Francisco International Feldenkrais Training in 1977. And how he ultimately came to become a close friend of Dr. Feldenkrais and organize the Amherst Training in 1980. Learn the story behind Jerry’s filming of Moshe Feldenkrais that has left us with an enduring video legacy of Dr. Feldenkrais teaching Awareness Through Movement and giving Functional Integration lessons. Jerry shares some wonderful, and sometimes personal, anecdotes of his relationship with Moshe and about the Amherst Training. This entry was posted in feldenkrais podcast, feldenkrais podcasts, Feldenkrais Training, Jerry Karzen and tagged feldenkrais, feldenkrais download, feldenkrais method, Feldenkrais mp3, feldenkrais podcast, feldenkrais podcasts on March 14, 2007 by nagster.